Betsy Huete reviews the exhibition Wols: Retrospective at the Menil Collection, Houston, on view through January 12, 2014. 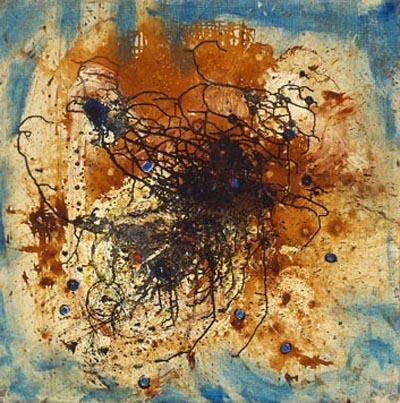 Huete writes that it "becomes clear within moments that Wols, while being influenced by the people of his time like the Surrealists and Paul Klee, was clearly looking introspectively, producing innovative works that seemed to be speaking an interior language unlike that of his contemporaries. ... the [paintings seem] less like abstractions and more like explosions. Rife with all-over flinging and scrawling and smudging of paint germane to its time period, Wols’ abstract paintings retain their nucleic identity with multiple loci within a single frame. Defying simple or singular interpretation, these scabbed eruptions emanate a quiet knowledge that birthings and similar generative moments are often consequences of violent activity. "